An understated exterior belies some killer audio. Any gamer can benefit from a good headset, whether to stay in clear contact with their teammates during an intense raid or to keep the noise down while their spouse is asleep. But some cans are loud in a different way, boasting garish designs or cheap plastic builds that you might not feel comfortable wearing outside your home. 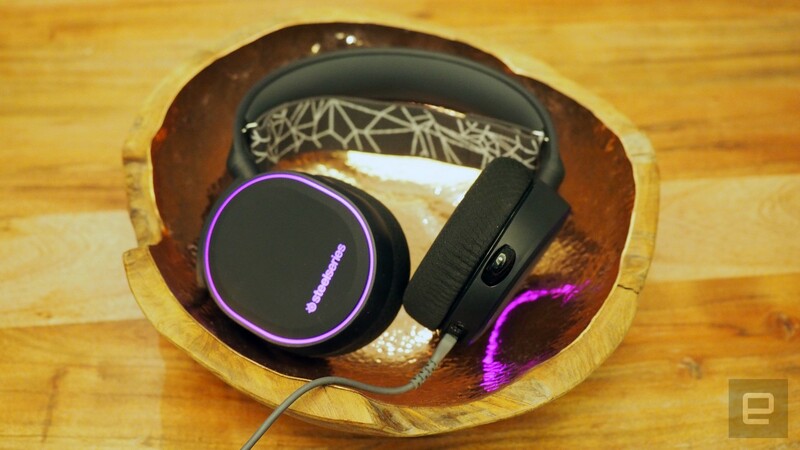 Newcomers like LucidSound have taken a stab at building headgear on the more stylish side, but now industry vet SteelSeries enters the arena with its own line of fashionable gaming headsets. SteelSeries' products have always been known for their clean lines and relative lack of embellishment. But when it came to the company's signature Siberia line of headsets, it still needed a way to allow users to resize the fit to their liking. While the distinctive suspension system was effective at ensuring the right fit, its design also made the Siberia headsets look a bit odd. The new headsets, called the Arctis 3, 5 and 7, avoid that telltale double band by switching to a sizing system that should seem familiar to anyone who's spent a bit of time outdoors. There's a tight, stretchy band across the top, similar to the ones that hold snow goggles on your head. You'll feel a bit of pressure when you first put an Arctis on, but it's not uncomfortable and eventually fades into the background. 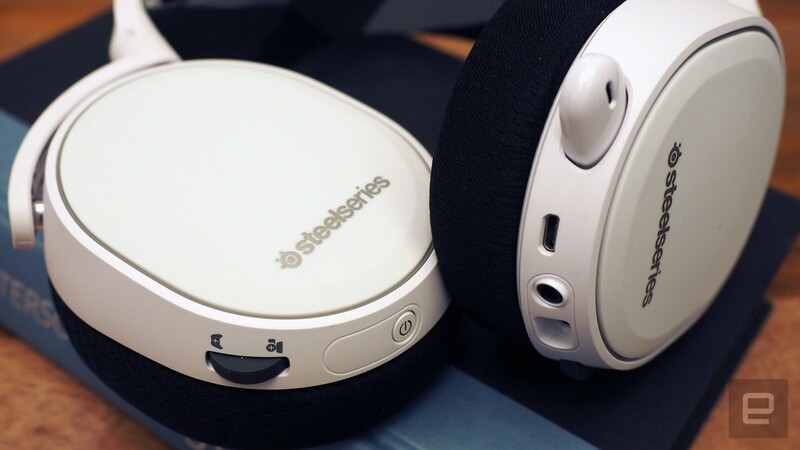 SteelSeries took other ideas from sporting goods as well, covering each earcup in a thin, breathable fabric akin to the material used to make jerseys and gym shorts. The AirWeave material is soft and perforated with small holes, preventing your head from getting as hot and sweaty as it might otherwise. If you do sweat, though, both the earcup fabric and the stretchy band are removable and washable. The ability to remove the headband means that you can swap it out for a different one of your liking. Outside of that bit of fabric all three headsets embrace a simple design typical of SteelSeries products. 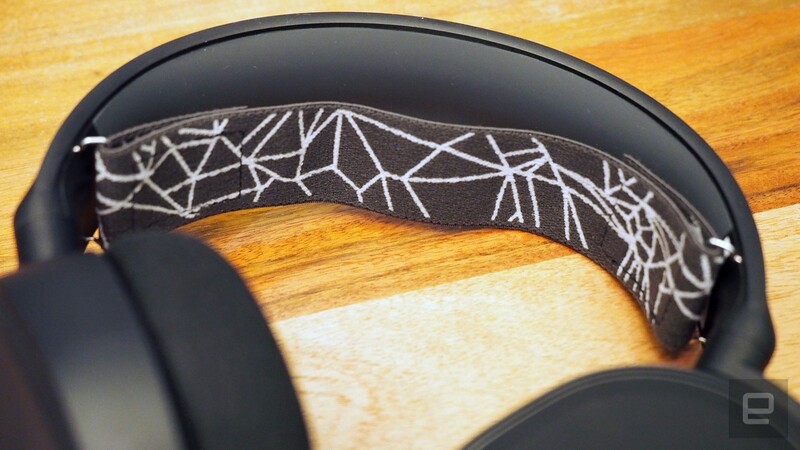 The earcups are oval with just the company logo printed on the side; the headband is a simple curve. Out of the line, only the Arctis 5 comes equipped with RGB lighting, and even then it's just the logo and a thin line around each ear cup. The colors and pattern can be adjusted using the SteelSeries software. To be clear, though the three headsets are named after consecutive odd numbers, those digits don't actually refer to the number of channels (stereo or surround) each headset has. All three Arctis products are equipped with 7.1 surround sound that was designed to not favor any particular end of the spectrum -- no overpowering bass, no "crisp, clear highs" like so many gaming headsets tend to push. It's great to "feel" an explosion, but SteelSeries would like you to hear the non-player characters reacting to it as well and their footsteps as they run away. The team at SteelSeries gave plenty of extra attention to the microphone as well. Many headsets tend to offer just "good enough" sound, using unidirectional mics that filter out some -- but not all --surrounding noise. The Arctis' mic is bidirectional, making it better at capturing your voice and ignoring any sounds coming from next to you. It's also retractable, so you can use the Arctis as just a pair of headphones without the worries of losing a detachable mic unit or looking silly because it's sticking out. 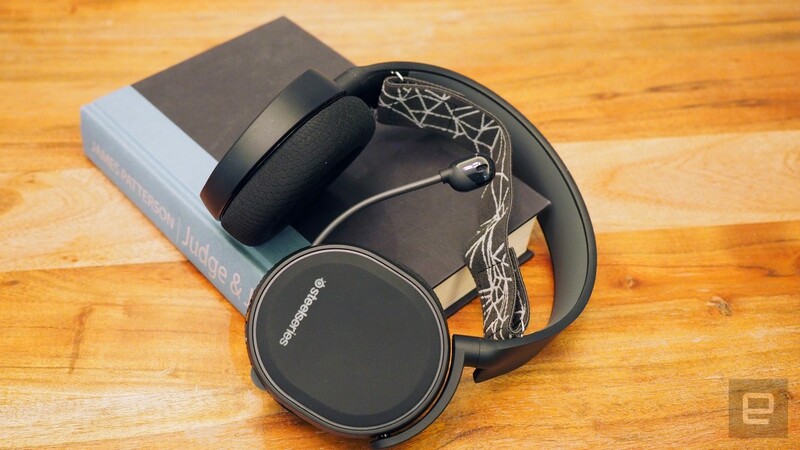 The Arctis 5 and 7 are equipped with DTS' Headphone:X system for slightly better audio, but otherwise the three headsets are identical internally. That makes it a bit easier for shoppers, who don't have to worry about whether the lower tier will provide what they need, or if the top tier will be "too much." It's a solid experience all around, allowing buyers to focus on features instead. 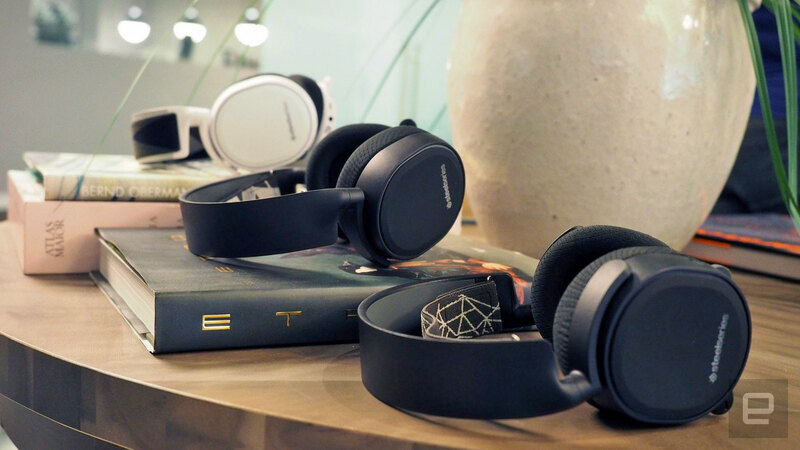 Indeed, the Arctis line offers a lot of variety on that front. The Arctis 3, which costs $80/£90, is a pretty standard wired headset. It uses 3.5mm jacks for input and output with all the adapters you'd need to attach it to an Xbox controller or a laptop with no microphone port. There's also a jack on the headset itself, for sharing audio with a friend; this feature is also available on the other two Arctis sets. The $100/£110 Arctis 5 expands the feature set with RGB lighting and it also connects via USB. The headset has a special ChatMix Control dial that allows player to vary the volume of their incoming audio -- If you're having trouble hearing your friends, you can easily raise that side, or turn it in the other direction if you'd rather focus on the game's audio. There's a slight 'click' to let you know when the dial is centered between the two. With the Arctis 7 the price jumps to $150/£160, but that cost brings with it 2.4GHz wireless which should boast zero latency compared to Bluetooth. The ChatMix dial is built into the headset to avoid adding more cords, and the headset boasts 15 hours of battery life with 40 feet of range. All three headsets are exclusive to Best Buy starting today.